Rohingya Refugees in Cox’s Bazar Face Threat From Wildlife - Integration Through Media ....! 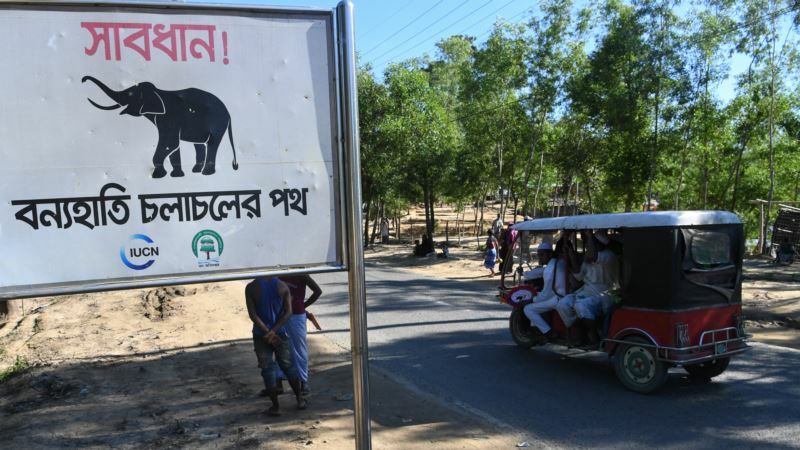 (VOA): The U.N. refugee agency warns that thousands of Rohingya refugees in Bangladesh’s Cox’s Bazar face a new threat from interactions with elephants roaming the huge settlement where they are living in squalid, overcrowded conditions. More than 670,000 Rohingya have fled to Bangladesh since August, escaping violence and persecution in Myanmar. Most of them are living in the Kutupalong refugee settlement in Cox’s Bazar, the world’s largest refugee camp. The refugees are faced with multiple threats, including disease outbreaks, malnutrition and risks to their lives from the imminent monsoon and cyclone season. Added to this is a new danger posed by their unexpected and potentially life-threatening interaction with wildlife. The UNHCR reports the area now occupied by the Kutupalong refugee settlement has been for a long time an important habitat for Asian Elephants. Spokesman, Andrej Mahecic, says about 40 elephants in the area move between Bangladesh and Myanmar in search of food. Mahecic says the UNHCR has teamed up with the International Union for Conservation of Nature to protect refugees from more dangerous encounters. He says the IUCN has been working with communities in Bangladesh for decades to help them live safely alongside wild elephants. He says 17 highly trained Elephant Response Teams already are on watch in the camp. He says team members know how to approach an elephant, how to deter the animal from entering the camp, and keep everyone safe.